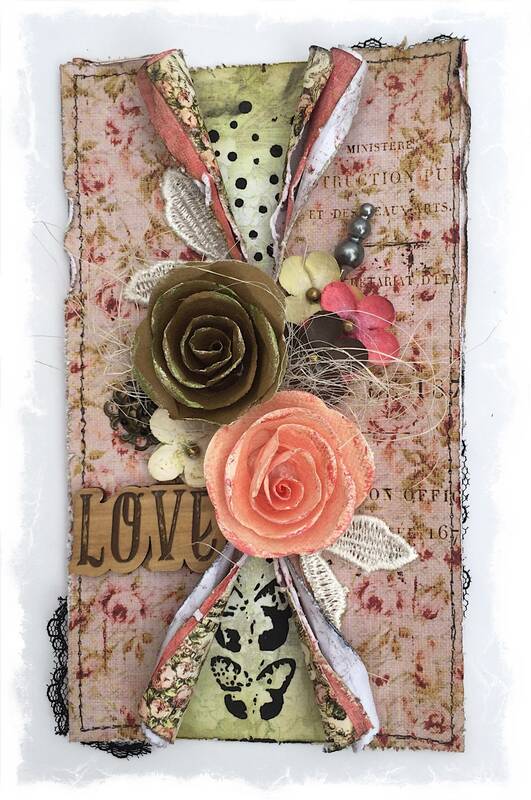 Scrapping Fancy: Swirlydoos Kit Club July Blog Hop! Swirlydoos Kit Club July Blog Hop! Thank you for joining our blog hop this month! If you came here from Kim's blog, then you are on the right track. If not, go back to Swirlydoos' blog and start from there. Make sure you leave a comment on all blogs for a chance to win a prize! And, make sure you have LIKED & FOLLOWED Swirlydoos on Facebook!!! This is was my first project I made with the kit. I have a step by step tutorial that will be up on the Swirtydoos forums in the Anatomy of a Layout section by Thursday afternoon, so you can see all of the detail there! I took this picture at a cemetery in Denver last fall. I've scrapped it before, but I really love it! This is based on the monthly sketch. It kind of took on a life of it's own! I just used the rectangles and circle elements on the sketch and rearranged them and added a couple of layers. I used translucent embossing paste on the window stencil that we received in a past kit, and then used blue distress ink to highlight it. The black swirly chipboard aligned with the picture is from my stash, but you could easily add a similar element from a die cut. The outlined flowers are a Memory Box die that I cut out of cardstock from the cardstock add on, and inked with a dark moss color. The white circle was cut from one of the notecards in the main kit. The lower left cluster with the brad has a pink paper with a frame- that's one of the matchboxes from the embellishment add on kit that I cut up. I used a paper rolling technique for the base of this card. The bottom layer has two different stencils with the circles and then the butterflies, which is from Crafter's Workshop. I love those rolled flowers from the flower add on! They are quite chunky! I added some minor elements form my stash- a gold button, some white flower trim, and some whispy strands from the floral section at Michaels. I finished off the card by softening up the design with gesso, and Silks paints. For this layout, I followed the July Blue Fern Studios sketch. To pull this off, I used the Boston Lattice chipboard from my stash, but we did get it in the January kit. I painted it with a white paint dauber, then randomly used the silver gelato from the mediums add on to give it a distressed white look. I used Prima and Kaisercraft stencils with black embossing paste under the floral clusters. The title is from the embellishment add on- it's one of those cute matchboxes! This is the album from the project kit, which I LOVE! Garden Fable is a perfect summery line! I have a video on how to prep the album and decorate the cover. Part two will be coming soon and that will be all about finishing the inside this album! I hope you enjoyed checking out my projects for Swirlydoos! If you’re ready to start getting perfectly coordinated, top of the line scrapbook kits delivered to your door, please visit us at www.swirlydoos.com. Mention my name (Rae) when you subscribe and you’ll receive 10% off your first kit, AND a coupon good for 30% off your entire purchase in the Swirlydoos.com store! Are you a subscriber? If so, your kit is on it's way if you don't already have it! If not, check out the Swirlydoos store to see if there are any July kits or add ons in the store! The party continues over at Jan's blog. Have fun! My gosh, these are beautiful. The gate fold album cover is fabulous. Well done! WOW!!!!!!!! What an inspiration I get from all these Fantastic (!!!!) projects. I love your anatomy page so much, and the layout of Audra. Gorgeous design and I sooooo love that precious picture. Such a beautiful happy girl. I also enjoyed watching your video on the mini. Thank you for showing how you made that gorgeous cover. And your card is soooo pretty. Love the stenciling in black and the rolled paper. Amazing work you did, in your amazing busy schedule! Big Hug! Love the scrappy feel of the card (I'm a card maker so those catch my attention first). The layouts are beautiful. The first two with the boxes for embellishments are wonderful. thanks for sharing so many great projects. Oh my! SO pretty and SO many luscious details! I don't know how you moved and created all this beauty in the same month! You are awesome! Very pretty love the project album. Love the colors. never tire of seeing your projects...such beautiful ideas! thanks! Rae you always amaze me with your creativity and how effortless these projects come for you. Stunning like usual. Gorgeously feminine projects!!!! And I love your video!!!! Love all of your projects over the years. Really loved the card this month. Beautiful! Gorgeous projects, Rae! Absolutely love the "Anatomy" LO! The cover of the gatefold album is stunning! Thanks for the video! Really awesome works! I'm impressed of your talent! :) Congrats! This is such a lovely page and that chippie looks just perfect behind your pretty photo. Congratulations Rae! 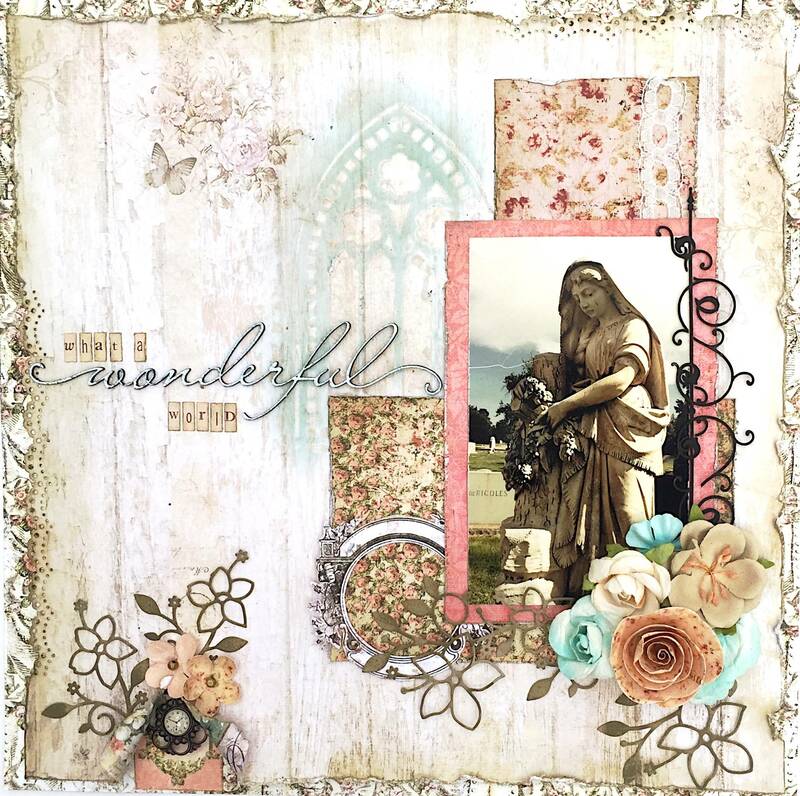 Your layout is one of the featured projects for the July sketch challenge at Blue Fern Studios. You can see all the details on our blog today. Thanks for joining us! Beautiful pages and projects! I loved the album cover tutorial video! Thanks for that! I love you technique using liquid pearls on chipboard! I have used it several time, and it is so easy! It is definitely and winner!Beautiful pages and projects! I loved the album cover tutorial video! Thanks for that! I love you technique using liquid pearls on chipboard! I have used it several time, and it is so easy! It is definitely and winner!